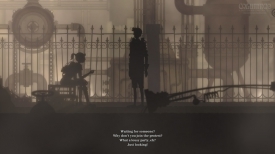 "A stylish and great looking point and click adventure." Columnae: A past under construction demo is a very stylish click and point adventure, you can see the amount of detail that has been put in to the graphics and animations and it really does look fantastic. 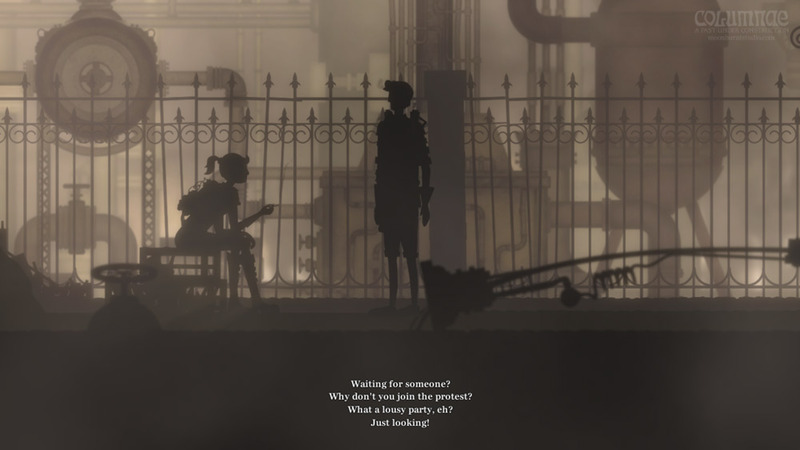 You play as a guy with some kind of secret who finds himself at the closing down of the factory he works at in the city of Columnae in the midst of a protest the factory workers are holding because they have all just lost their jobs. Sadly out of the crowd of people you are only able to talk to a bored girl and your friends Steve, it is also possible to go to a nearby bar and within there you can talk to the bartender and a customer and gain some further information. However after going through pretty much every line of conversation there seemed to be no way to progress whether this is all there is to the demo or if I missed out on performing an action that would have allowed me to progress will forever remain a mystery and although the game looks fantastic having the same conversations over and over starts to get boring quite quickly also the game is not without humor but some of the subject matter is quite deep and may be a little overwhelming for younger gamers or people who have no experience with being part of a workers union. 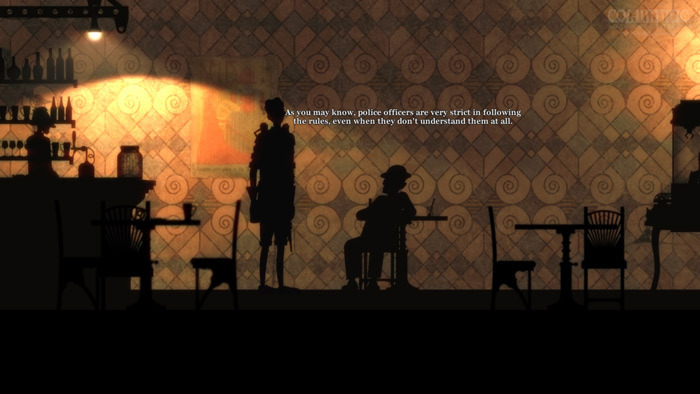 Columnae: A past under construction is worth playing just to see the fantastic animation however it certainly isn’t light entertainment and is a rather strange overall experience. You can download Columnae: A past under construction demo here for free.